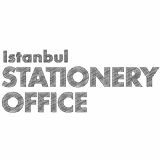 One of the most exclusive fairs in its sector and the largest fair in Turkey, the ISTANBUL STATIONERY OFFICE FAIR will now be organized at TUYAP Fair Convention and Congress Center by the cooperation between Tuyap Fairs and All Stationery Association (TUKİD). As a global competitor in the school and office products, stationery, paper and toy sector, Turkish market will reach its goals with Tuyap using all marketing strategies to make Turkish industry a regional power and help the sector gain the reputable place it deserves. As the largest fair venue in Turkey, TUYAP Fair Convention and Congress Center will host around 25.000 domestic and foreign industry representatives in 6 halls furnished with a cutting-edge technology.